Pancake, Milkshake, deleted, inserted, etc. Hopefully fans who saw Ralph Breaks the Internet this weekend stayed until the very end of the credits. If so, they were rewarded with not one, but two additional scenes, both of which are hilarious but also came with their own unique set of difficulties. 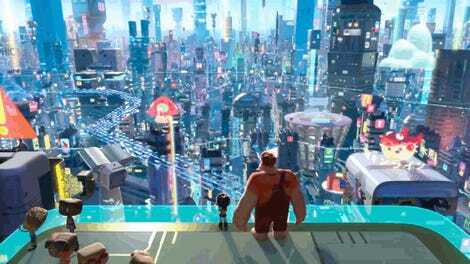 The directors of Ralph Breaks the Internet, Rich Moore and Phil Johnston, along with producer Clark Spencer, broke them both down with us. If the first scene probably felt oddly familiar, that’s because you saw it in the first teaser trailer released back in March. However, the scene in that trailer was cut from the movie just as toys and other products (like the VR) featuring the characters were going into production. This posed a problem for the filmmakers. They knew the scene didn’t work for their movie, but also that it had to be in there if at all possible. Here’s the trailer, cued to the scene in question. “The first teaser came out in March,” said producer Clark Spencer. 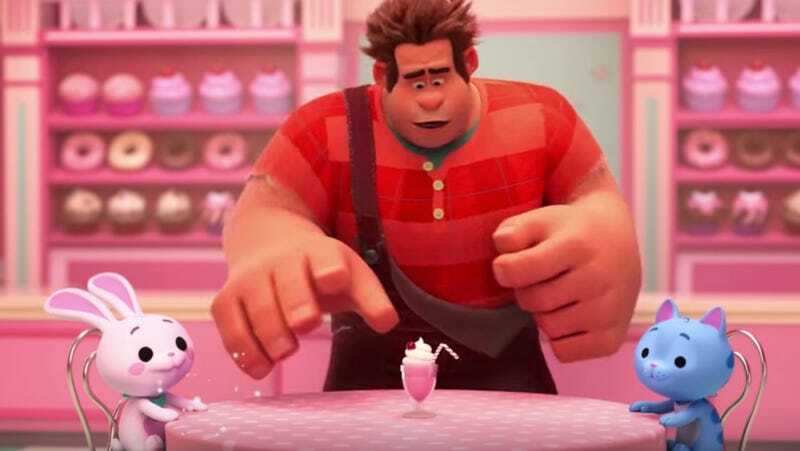 “And by then we knew that [scene] wasn’t going to be in the movie.” The scene features a young girl in a car playing a game called Pancake Milkshake—a game that’s then taken over by Ralph and Vanellope with gruesome results. “We would have bet money this is going to be in,” said Moore. However, it was not meant to be. Just as the trailer was being released, the scene was cut. And yet, in a way, it had to be. “People kept talking about it and they were making toys of the bunny and yeah we [couldn’t] not have it,” Moore said. If you think that looks like baby Moana, yes, you are onto something. Then there’s the second scene at the very, very end of the movie. A title card promises a tease of Frozen 2, the next movie from Disney Animation Studios, only for us to be Rick Rolled by Wreck-It Ralph. You can get a taste of it here. It was so last minute, in fact, one of the actors wasn’t available. The main actor. Each post-credits scene, while not easy to crack, put an excellent exclamation point on a movie that’s already pretty damn good on its own.